Conflict is an old tune for humankind. Many a battle was fought through our history, shaping the fate of individuals, countries, and cultures. In "La guerre: The Sound of Battle", Schola Cantorum explores the fascination in war through works by composers and poets of the 15th and 16th centuries. The rose — an icon of the Virgin Mother in the Catholic church, yet also a universal symbol of love and beauty. This program examines the various ways such imagery is used in medieval and renaissance poetry. This program explores the two contrasting imageries in sacred texts and secular poetry from the 16th and 17th centuries. Have fun! 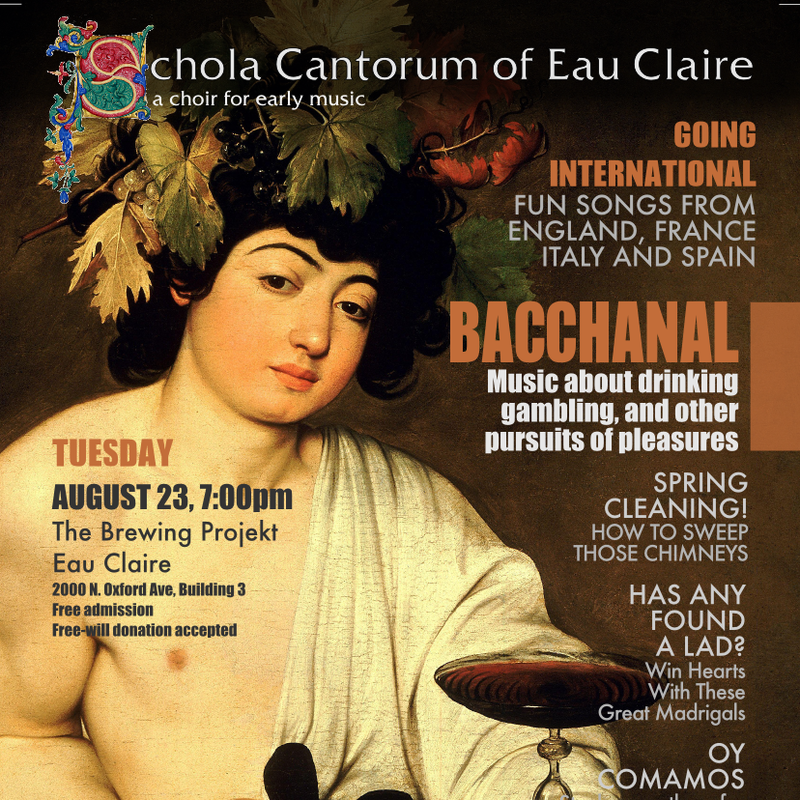 This concert features collection of music about drinking, gaming, and other pursuits of pleasure from England, Italy, France and Spain. Music that were written during tumultuous time in Britain and Germany during the 17th century. The title of the program “Out of Love for the Truth” is a translation of the first few words (“Aus Liebe zur Wahrheit”) in the Ninety-Five Theses, which Martin Luther penned and published 500 years ago in 1517. The document pointed out the problems in the contemporary practice of selling indulgence, letters that could be purchased from the Catholic Church to essentially pre-approve sins. It sparked fierce debates, eventually leading to the Reformation and Protestant denominations.